Leners in deze groep: Martina, Delmia, Mirna Otilia, Josefa Micaela, Isabel, Selena, Ana, Juana, Santos, Juana. 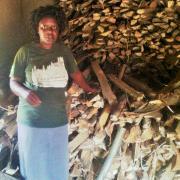 This loan helps to buy feed for her animals, as well as turpentine, an essential ingredient for incense. Delmia is a member of the Friendship Bridge Trust Bank "Mujeres Unidas de Pacabrican". She lives in the department/state of Totonicapan. 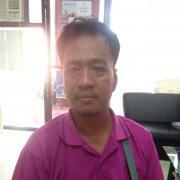 Delmia is 23 years old and married with a year old daughter. She has two businesses, raising chickens and pigs, and also sells “copal” incense used in Maya ceremonies. 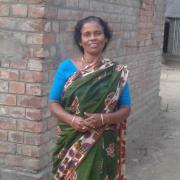 With her income, Delmia is able to contribute to the household expenses which makes her very proud. She is requesting a Kiva loan to buy feed for her animals, as well as turpentine, an essential ingredient for the incense. 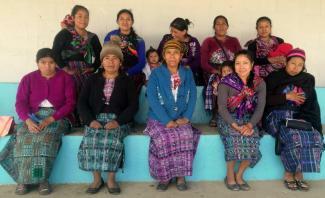 There are 10 Maya K’iche ladies in the Trust Bank who are beginning their second Kiva loan cycle. Because many of the women who participate in the “Microcredit Plus” program (loans, education, healthcare) cannot read or write, Friendship Bridge offers monthly educational sessions for them using participatory techniques (games, role playing, pictures, diagrams). Topics are chosen from four areas and include effective business practices, as well as information about health, hygiene, nutrition and the use of medicinal plants. With the information, the ladies are more effective entrepreneurs, happier and more successful women. Often, they share what they have learned with family, neighbors and friends. Thank you, Kiva investors, for being a part of this effort. Because Kiva investors partner with Friendship Bridge, the lives of women like Delmia continue to improve.